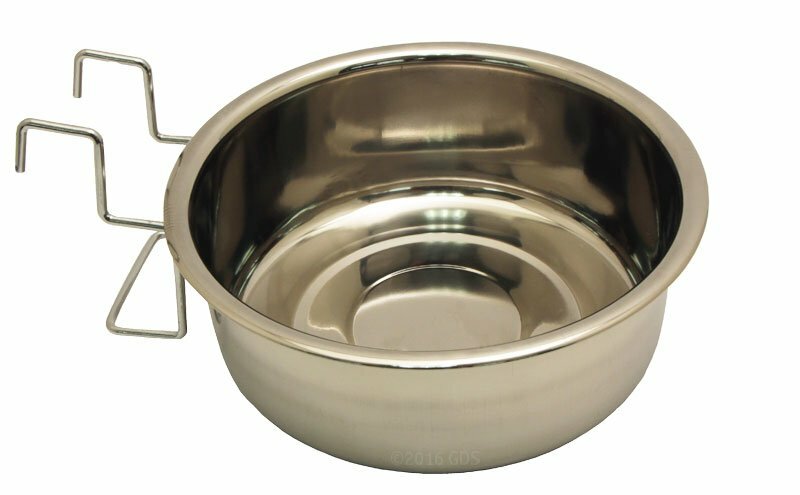 Medium Stainless Steel Kennel Cup with Hanger -- approx 60 oz.. $9.95. "Perfect size for my dog's crate. Weight of the water keeps bowl secure." Perfect size for my dog's crate. Weight of the water keeps bowl secure. Wish I would have ordered the bowl with the clamps. The bowl with the wing nuts works much better. Stainless steel water bowl / kennel cup hangs on fence or crate door with wire hanger. Large Stainless Steel Kennel Cup with Hanger -- approx 88 oz.